In the last days of December, we sowed garlic (you can see our related post of the previous year from here). 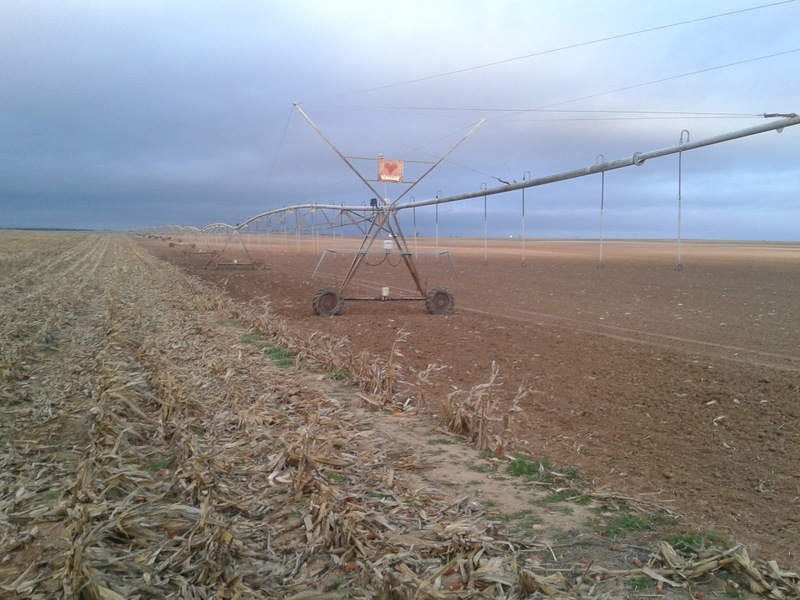 For us, the ideal month is December, however some farmers begin in November and other ones prefer January. 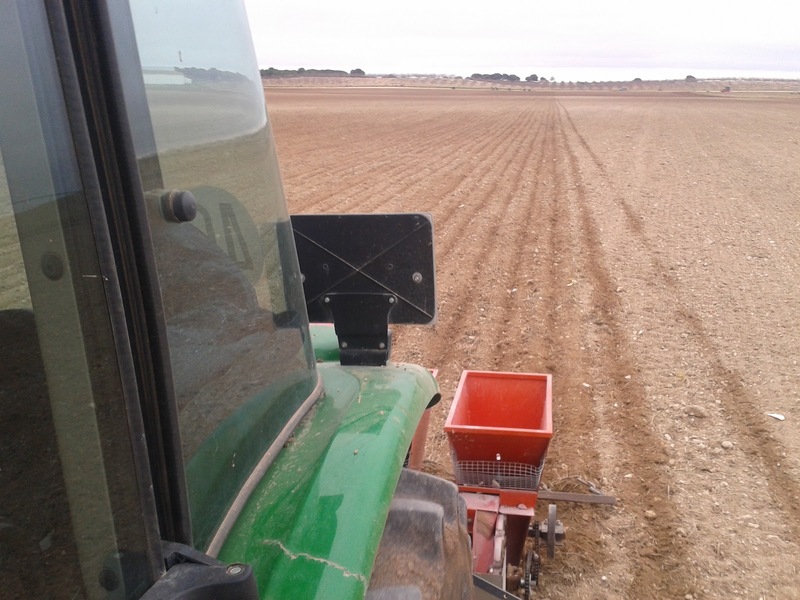 The two days, while we were sowing, were really funny (we sowed 8ha) and the weather was very nice. Before that, we had split our garlic and we had prepared garlic to sow them, as you could see in our last post. 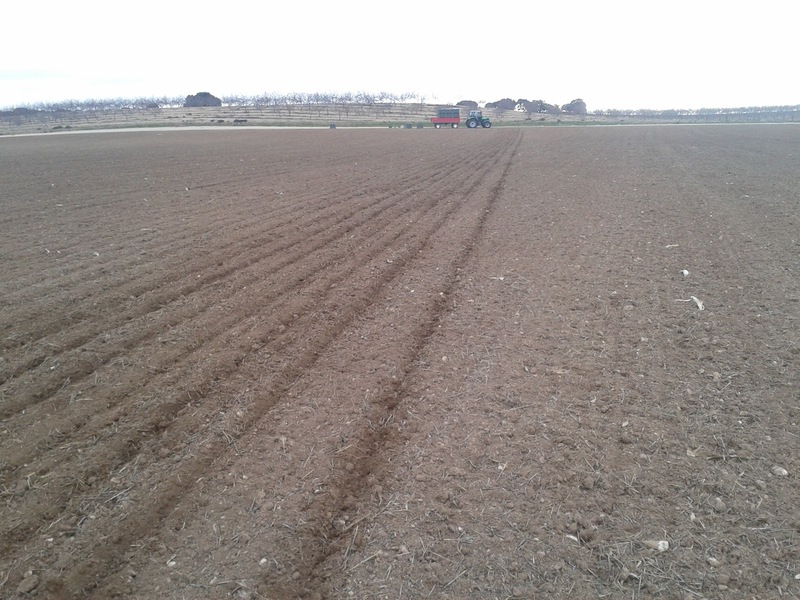 As you see in our pictures, we used a JJ Broch garlic planter of five rows (it is sold by Coagrip and Zocapi). Also, Erme garlic planters (which have the same technology) are used by a lot of farmers. 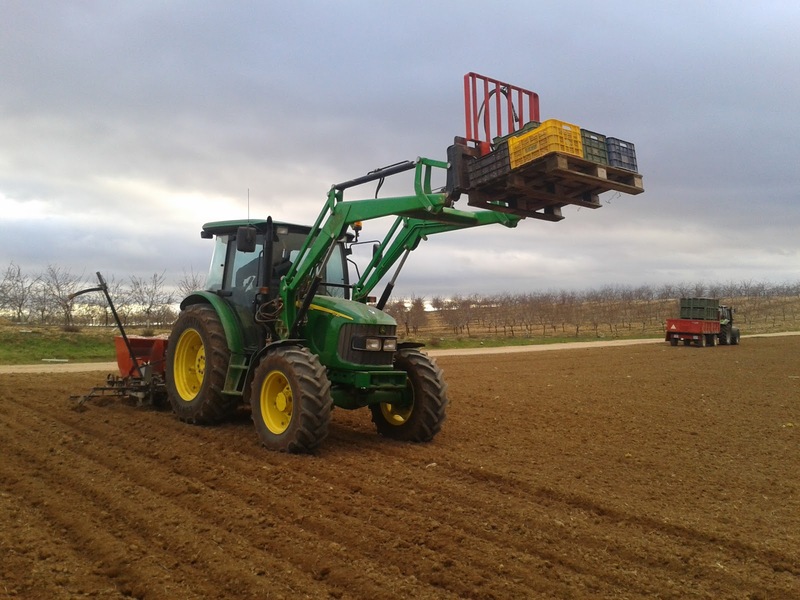 If you want more information about these type of garlic planter or single-seed drills in general, you can visit the blog www.masquemaquina.com, where you can find an article about this item. We strongly recommend it! Our garlic planter uses spoons which catch garlic clove from hopper and they put it on the soil. These spoons can be exchanged to fix them with the size of the sowed garlic cloves. There are other garlic planters which don't use spoons, because they have pneumatic technology and the garlic clove is absorbed by power air (they are made by La Preferida). According to some farmers, these pneumatic garlic planters are more accurate and they allow them to work faster. 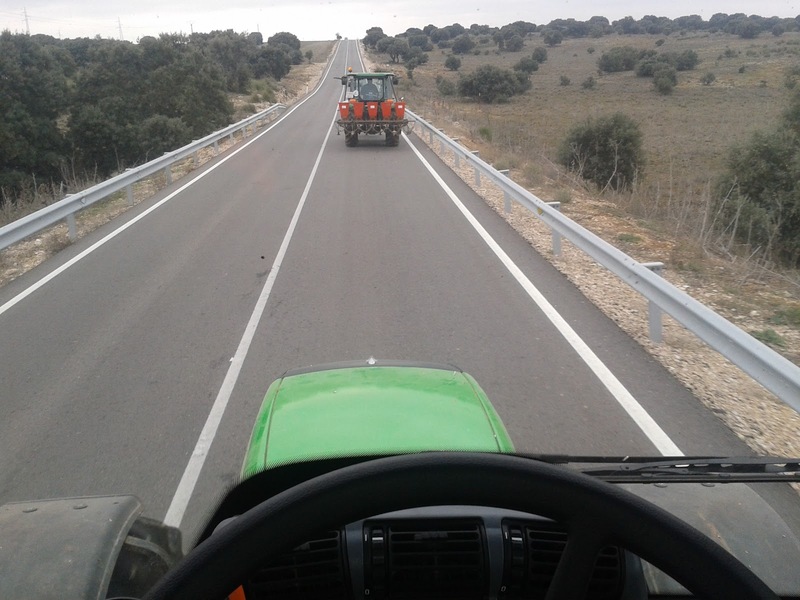 We worked at 3.5 km/h (1,200 r.p.m. and B2 gear). The amount of garlic cloves used was about 990 kg/ha and about 12 garlic cloves per meter are sowed. 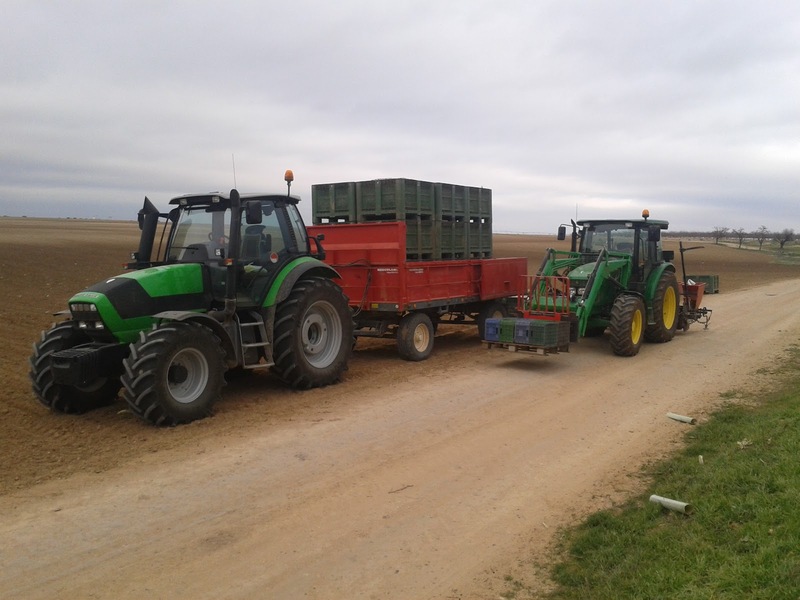 After sowing, a few farmers use a discs roller, as you can see in last pictures. Ese pivot es vuestro? Pedazo de maquina.Cuantas hectareas riega en una vuelta completa? Ya nos gustaría que fuede nuestro, pero desgraciadamente no lo es. El pivot riega en una vuelta 130 hectáreas...casi na!! Perdona mi curiosidad pero quien alimenta de agua ese monstruo? sondeo, embalse? Utilizan una balsa. Te puedo decir, que en la finca no está ese solo, hay varios, eso si, algo más pequeños.